This is a biography of the best pound-for-pound fighter in the world and the only boxer to ever win seven world championships in seven different weight classes. Manny Pacquiao, 30, is considered by many to be the best pound-for-pound fighter in the world. Recently named the 'fighter of the decade' by the Boxing Writers Association, he is the only fighter ever to capture seven different championship belts in seven different weight classes. But few thought that Pacquiao could reach the pinnacle of his sport considering his background. Growing up in a cardboard shack in General Santos City in the Philippines, he ran away from home at fourteen. Making his way to Manilla and eventually to the U.S., he hooked up with trainer Freddie Roach in 2001 and from there his fighting career took off. 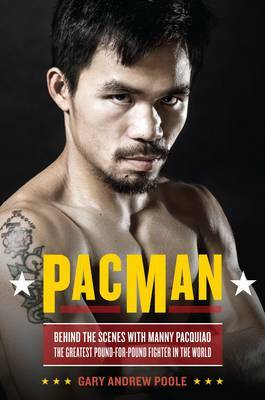 Named on "Time Magazine"'s annual 100 Most Influential People list last year, Pac-Man, as he is affectionately called, is not only an exceptional fighter, but has a photographic memory, donates millions to charities in the Philippines, and learned to play the piano in one week. Gary Andrew Poole serves up a revealing portrait of this remarkable fighter and personality.